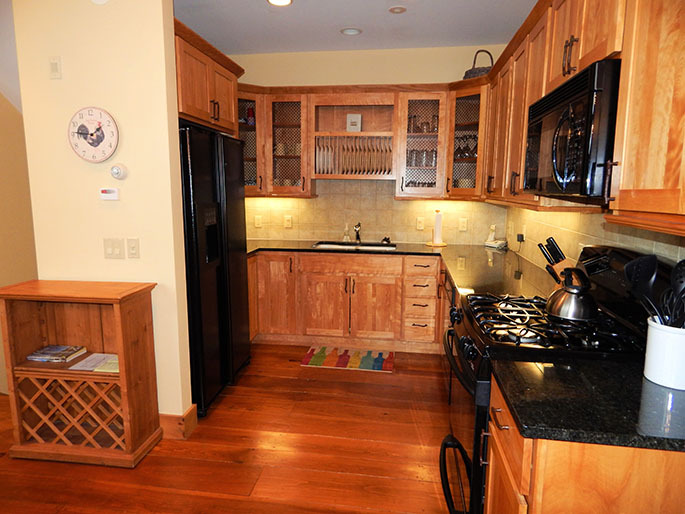 This fabulous 3 bedroom Tree Top townhouse has 3 bedrooms and 3 full baths. 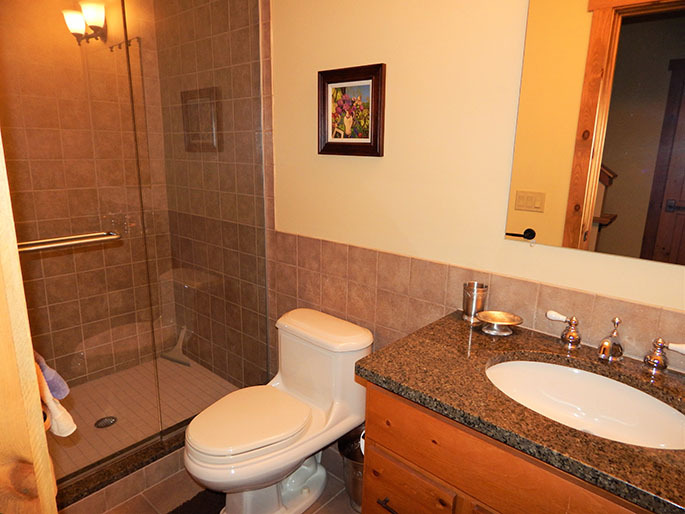 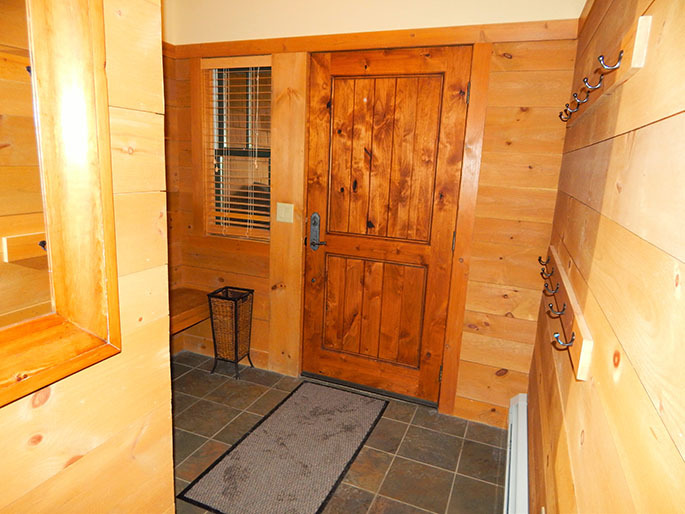 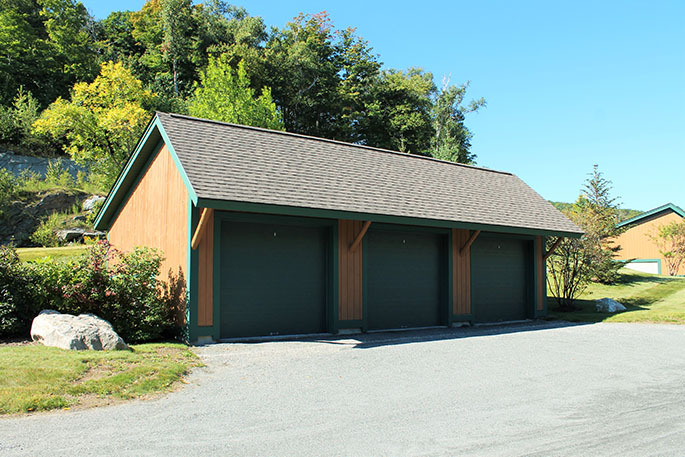 The entry level has a spacious mudroom, a full bath, and a bedroom with a queen bed. 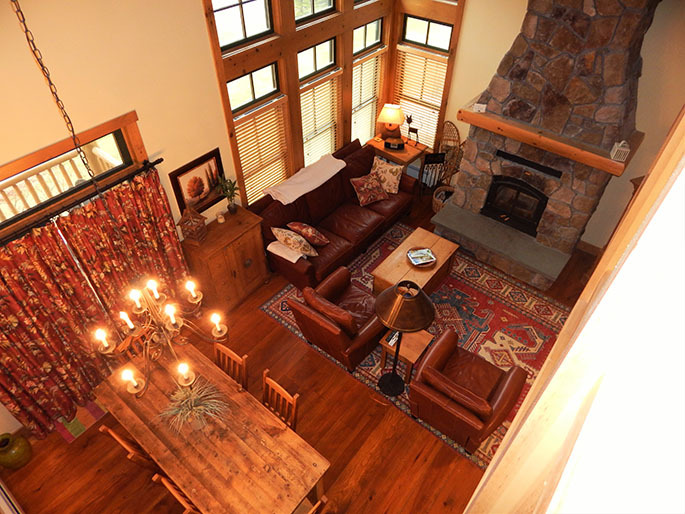 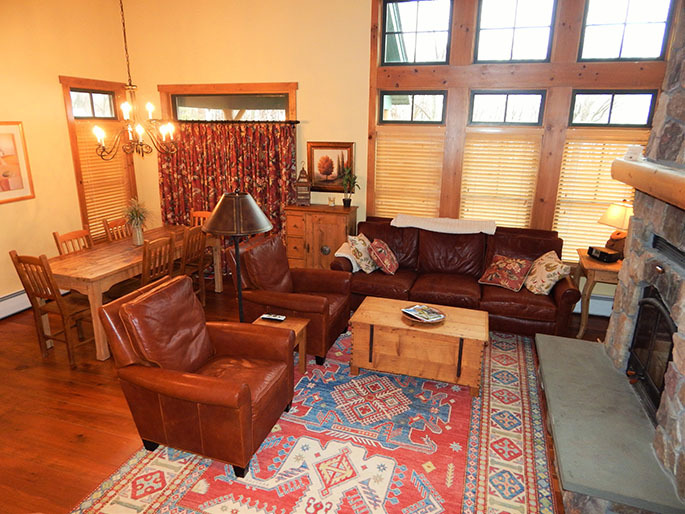 One level down is the living area with large fireplace, flat screen TV, dining area, and kitchen. 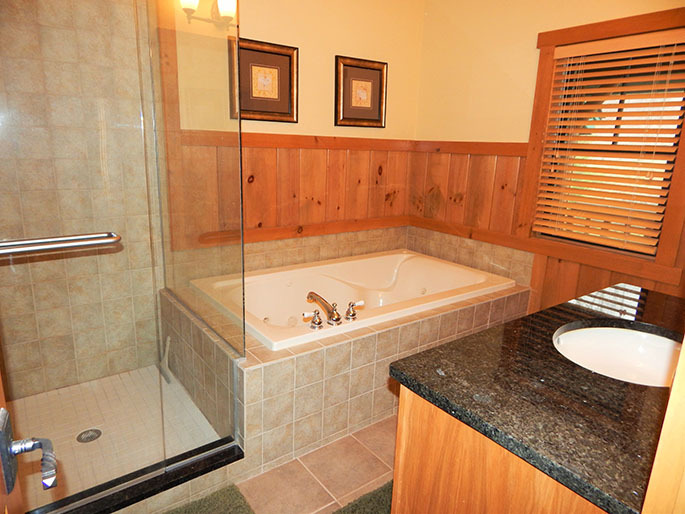 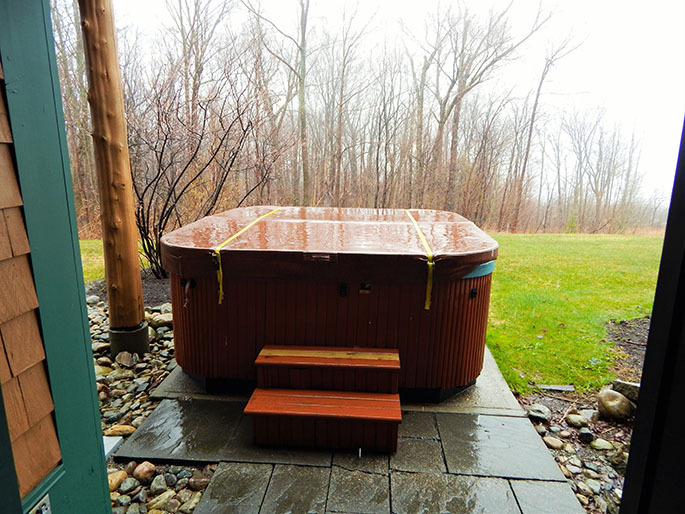 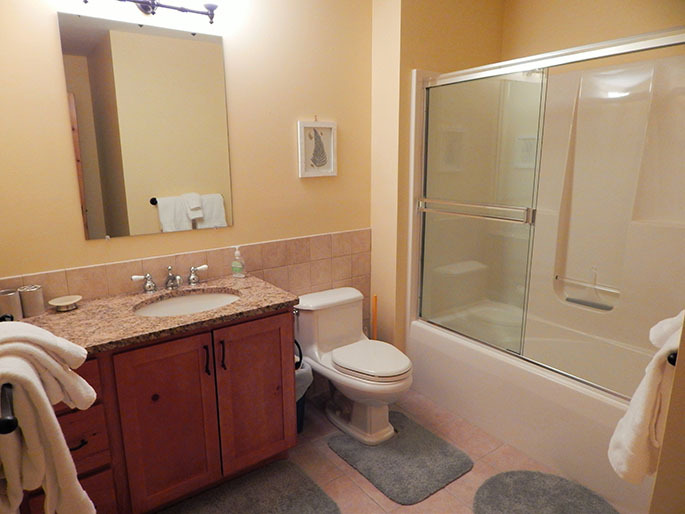 The lower level has a bedroom with two twins and full bath with access to the outside hot tub. 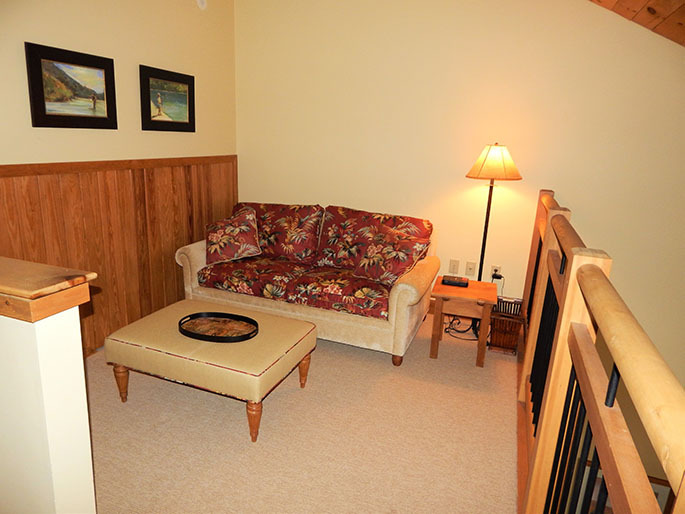 Upstairs is the loft with a sleep sofa for extra sleeping and the master bedroom with a king size bed and attached full bath with a jacuzzi tub and shower. 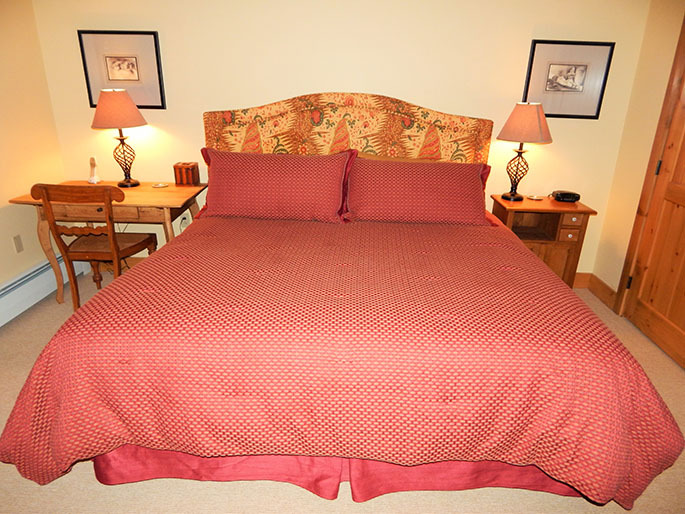 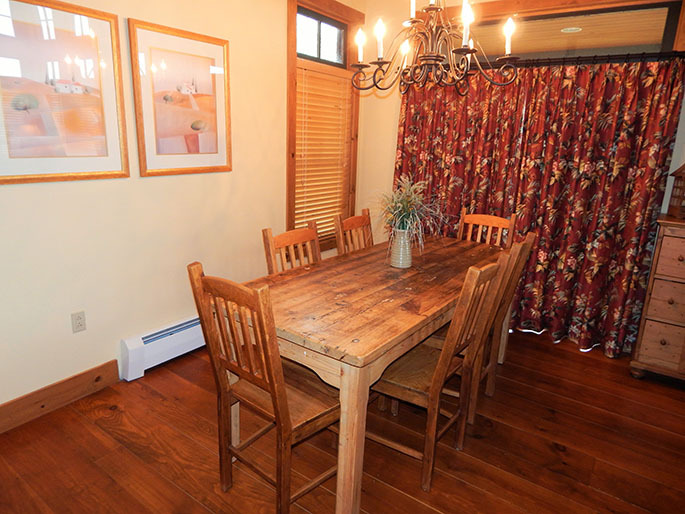 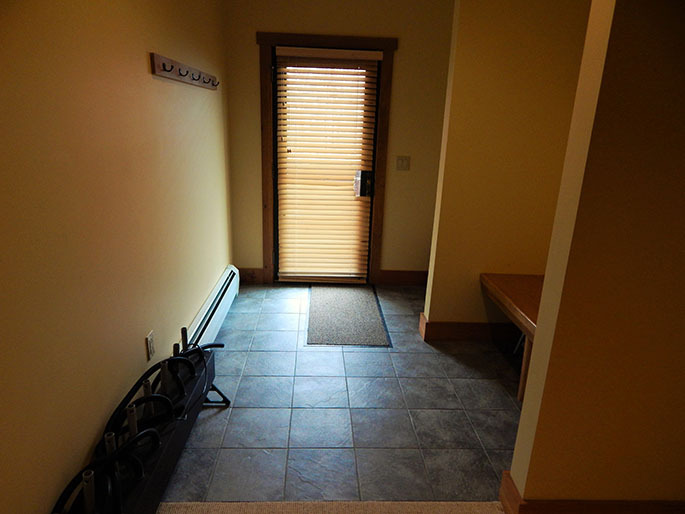 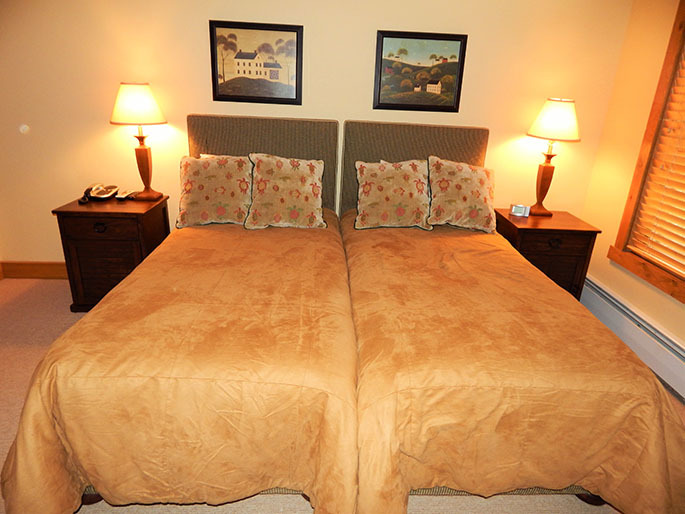 This townhouse is on shuttle service to and from Stratton's base lodge! 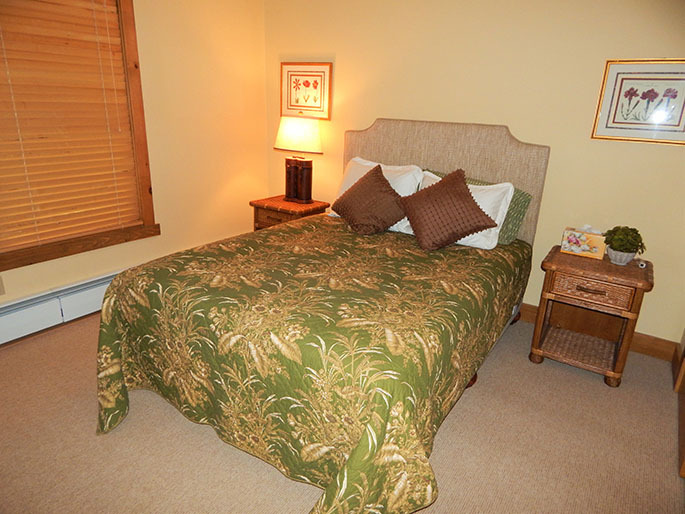 Call us to rent this spacious Tree Top unit today!